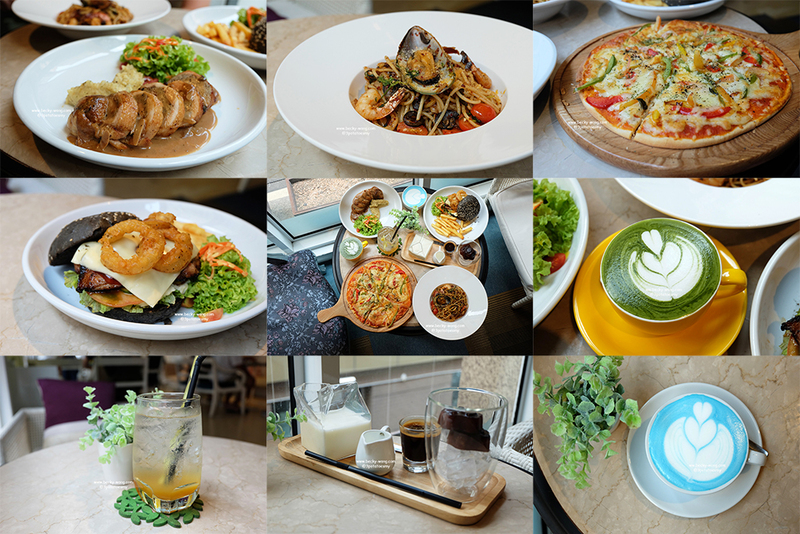 We might be culturally different, but food allows us to understand each other cultures a little more, and sometimes, it can tell a whole story. 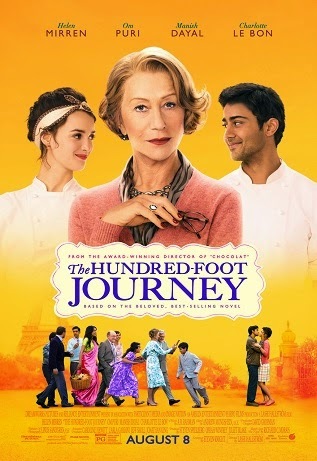 This is how I feel about The 100 Foot Journey. "Hassan Kadam is a genius in culinary. After their house was burnt down due to election dispute, the family decided to move to Europe. After leaving London, where they've been staying for a bit of time, they found themselves in a beautiful village of St. Antonin-Noble-Val in South of France. Mesmerized by it's picturesque and elegant, the father (Papa) decided to settle down and open an Indian Restaurant, Maison Mumbai - exactly 100 foot across a Michelin starred classical French Restaurant. The restaurant owner (Mdm. Mallory) gets wind of it, and watch how she and their father 'battle' out with each other; while Hassan and Mdm. Mallory sous chef, Margurite, enjoys a flirtatious relationship. Despite the "war" between her and Papa, Mdm. Mallory recognizes Hassan's talent and takes him under her wing"
First and foremost, they managed to capture the picturesque French countryside. It’s really beautiful, and made me wanted to make a trip there. A script by Steven Knight, produced by Oprah Winfrey and Steven Spielberg - I definitely have high hopes on this movie. 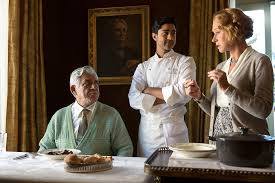 It's fun to watch the chemistry between the British Oscar-winner, Helen Mirren and the India legendary actor, Om Puri. The way they tried to sabotage each other has provided a constant laughs to the audience. Although the movie went all soft and gooey at the end, they still managed to keep the comedy essence to it. 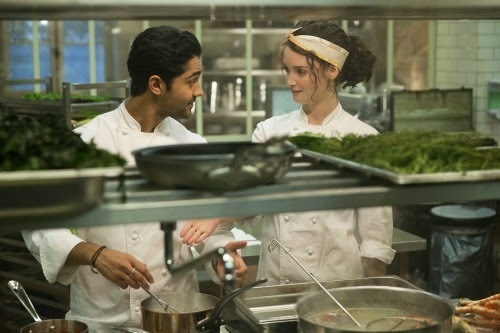 Being a foodie myself, one of the joy I get from the movie is the food - the fine and sophisticated French cuisine, against the aromatic-spiced Indian cuisine. Though not much scenes on these (how I hope there were more...), but they were definitely mouth-watering. A gentle reminder, you might want to re-consider going into the movie with an empty stomach. The movie is releasing on the 28th August 2014. Drop by your nearest cinemas and check this move out! wow a movie about love and culinary! p/s: I was drooling over the food in the movie.. lol! !